A military ID card or dependent ID is a valuable card which can unlock a variety of valuable benefits, such as health care through TRICARE, education benefits, and access base facilities, including the commissary, base exchange, MWR centers, and other support agencies. Unfortunately, getting a military ID card isn’t always as easy as waltzing onto your local military installation and requesting one. Only certain individuals are eligible to receive a military ID card or dependent ID card. You are usually eligible to receive a military ID if you are a military retiree or are currently serving in the military (active duty, Guard, Reserve, or Inactive Ready Reserve). Certain dependents are eligible for dependent ID cards as well (see below). You also need to required paperwork. We cover all of these details in this article. Are you eligible for a military ID card? What about a veteran ID card? One of the most common questions we receive comes from veterans who are looking to get a veteran ID card which proves their military service. There are many reasons why proof of military service can come in handy – including securing veterans benefits, proof of service for military discounts, or just to show off your military pride. Thankfully, the US Government created the Veterans Identification Card Act 2015 which authorizes the VA to issue Veteran ID Cards to all veterans with an honorable discharge. The VA began issuing these cards in November 2017. Please note these Veterans ID Cards are not military ID Cards. They simply show you served honorably in the US Military, and will not function to provide military benefits, base access, or other veterans benefits. If you served in the military and have since separated from, but didn’t retire from the military, you may not be eligible for a military ID card. In this article, we will cover information about some of the forms of military ID that are available, who is eligible to receive one, and alternative forms of identification to prove military service if you are a military veteran who is not eligible for a military ID card. In general, you must be in the DEERS system to receive a new military ID card. This includes the servicemember (sponsor) and eligible dependents (who must be entered into DEERS by the sponsor). Here are some general rules regarding military ID card eligibility. Check with your local issuing base personnel office for more specific information. You must be on Active Duty military status and be in the DEERS system. You must be in the Guard or Reserves, which may include the Inactive Ready Reserves (IRR). You must qualify as a military retiree, which generally means 20 years of active military service, or 20 years in the Guard or Reserves (though age limits may change eligibility requirements for Guard/Reserve retirees). Medically retired servicemembers may also be eligible. Former Military / No longer serving, not retired. There are a few exceptions given to certain veterans who meet the following qualifications: Medal of Honor recipients, 100% disabled veterans, Former members in receipt of retired pay, Transitional Health Care Member (TAMP), and some others. They will receive DD Form 2765. These may include, but are not limited to: Lawful spouse, un-remarried surviving spouse, unmarried children (including adopted or stepchildren) who are: under 21 years of age, over 21 but incapable of self-support (documentation is required), over 21 but under 23 who are attending an approved learning institution as a full time student (documentation is required). There are additional eligibility rules for former spouses, dependent parents/in-laws, and certain other cases. Contact your card issuing service for additional information. See Section Below For Most Up to Date Information. More types of Uniformed Services ID Cards. In addition to being in the DEERS system, you will need at least 2 forms of acceptable ID (see below for list of accepted forms of ID). For more information about where to go, contact your local base personnel office, or visit the Rapids Site Locator (RSL) for ID card requirements and to locate the nearest ID Card Facility/RAPIDS Station based on City, Zip, State or Country. Here is a RAPIDS Appointment Scheduler user guide to help navigate the site and set up your ID card appointment. Applicants are required to provide at least two original forms of identification from the lists below. The ID must be current and not expired. At least one of the forms of ID must be from the Primary Identity Source Document List. You can use one form of ID from the Secondary Identity Source Document List. The member must have proof of name change if their name has changed. These lists apply to military ID cards, retiree ID cards, and Dependent ID cards. The secondary identity source document may be a form of ID from the list above, provided it is not the same type. For example, you cannot use two different passports from two different countries as your form of ID. Military ID cards include the member’s name, affiliation (Uniformed Services), Agency/Department (Branch of Service), expiration date, rank, Date of Birth, DoD ID Number, Benefits Number, and additional information found in the bar code, chip, and/or magnetic strip. The DoD phased out the use of Social Security numbers on Military ID Cards and Retiree ID Cards starting in 2009. The DoD ID Number is now the primary identifier. There are two types of Veterans ID Cards issued by the VA. The Veteran ID Card (VIC) and the ID Card used for healthcare services. Veterans ID Cards. The VA began issuing official DoD issued military veteran ID card to veterans with an Honorable Discharge starting November 2017. 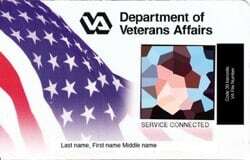 Veterans must have an honorable discharge to be eligible for this new Veterans ID card. Learn more about how to upgrade your military discharge characterization. Veteran Health Identification Cards. The VA also issues Veteran Health Identification Cards for veterans who are in the VA medical system. 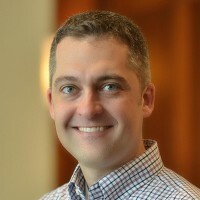 Many veterans believe they need to be receiving service-connected disability benefits in order to be eligible for VA health care benefits. This is not the case. All veterans are potentially eligible, based on different criteria, including when and where they served, whether or not they have a service-connected health condition, if they were discharged for medical reasons, served in a war zone, recently returned from an overseas deployment, or other conditions. Each situation is unique and each veteran should contact the VA to determine their eligibility status. A military ID card is the official way to prove your military affiliation. But some people prefer not to pull their ID card out in public. And of course, many veterans wish to show proof of service but are no longer eligible for a military ID Card. In those cases, you need a different way to prove your military service. The easiest way to prove your military service without one of the above ID cards is with a DD Form 214, which is the document which serves as your service record. This is issued to all military members when they separate from military service (the military used to issue a wallet-sized DD Form 214, but so far as I know, this is no longer the case). Unfortunately, carrying around a letter size document is inconvenient. One tip we have received from many veterans is to take your DD Form 214 to an office supply store such as Office Depot, Office Max, Fed-Ex/Kinkos, etc. and ask them to shrink the card to a wallet size version and have it laminated. This will give you a wallet-sized document that will prove your service. Note: Your DD Form 214 is one of the most important documents you will receive, so keep good care of it! Here are more details on the DD Form 214, including how to get a new DD 214. If you do not have access to the above veterans ID card options, you may still be able to prove your military service in other ways. Unfortunately, a DD Form 214 isn’t a photo ID, it is simply a document. Thankfully there are many other ways to prove your military service. State Driver’s License or ID Card. Many states now include a veteran endorsement on their state-issued driver’s licenses or ID cards. If this is the case, you should be able to get an ID card through your state. Call your state Department of Motor Vehicles or licensing branch for more information. You will likely need to bring your DD Form 214 to prove your military service. State or County Veterans ID Card program. Some counties or other communities issue veteran ID cards. These aren’t “official US or state government IDs,” but they may be valuable in the local community, as many restaurants and retailers will extend discounts as a “thanks for your service.” These cards may also be good for local or county benefits programs, but these vary by locale. Veterans Service Organization Membership Card. Many veterans service organizations such as the DAV, VFW, American Legion, and other organizations have membership cards. Check with your local military organization for eligibility requirements. Do you know of any other forms of ID that can be used to prove military service? If so, please contact us. We will add it to the list. hey john i been waiting over two months to get my id card and it still just saying pending. i decided to take another route becuase i found out that you can have your veteran status added on you driver license in most states. It did cost me thirty buck for the reprint of my driver’s license but it only took over a week. Check with your State DMV and VA office and give it a try. Good Luck. As a 20-year veteran of the US Army, let me throw in my two ¢. I have never asked for a discount at a business because I am a veteran. I do not consider myself better than those that didn’t serve and to be perfectly honest, I am a bit embarrassed anytime I hear someone ask for a veteran discount. It was an honor to serve. If a business wants to donate to a veterans charity of their own free will, good for them. I am not a charity. Sorry some of us have had a hard time of it. And we are very poor. So a free meal for us is very nice. You probably have enough to get by. My house got broken in to a few years ago and all my papers got taken. Now the government is having problems finding my info? So l guess l am stuck? Your comment, “I never ask for a military discount” and “I do not consider myself better than those that didn’t serve”. So, do you consider yourself better than those you served with? Good to know that a former fellow service member is doing so great. Please remember, as a leader you are supposed to help others rise not put them down. Didn’t 20 years of service teach you that? Proud former and active duty military members keep asking for a military discount, you deserve it. Remember these organizations are happy and willing to offer them to you for the sacrifice you made to this country. I am a retiree. I spent 6 years active, and 14 years National Guard. I’ve gone the last year without an I Dcardbecouse always am given a hard time getting it. The older man at the Ft Bliss I’D office wants me to come in at 8 AM, which is hard for me since I son’s drive and have a hard time sleeping at night! I was told I don’t qualify to get dmv veteran status designation on my drivers license because I wasn’t activated while serving 6 years in the CA Army national guard. I served during the Gulf War 1988-1994 with an Honorable Discharge but my unit was never ‘activated’ during my service. I served active duty for over 7 months during boot camp/AIT as well as AFTPs for most of the 6 years of guard drills. Is the dmv designation ONLY for veterans “with benefits” or for ALL veterans (including veterans that don’t qualify for medical and other such benefits)? Hello David, Each state sets their own requirements for eligibility for a veterans designation on a drivers license. Many states require active duty service. However, that often does not include activation for training purposes for Guard and Reserve members. (This is similar for many VA benefits as well). I can’t answer for the state of CA. You would need to contact the CA Department of Veterans Affairs. I wish you the best, and thank you for your service! I’m a father of a Navy service member. Can I get a military I.d. without being his dependent. Meaning I don’t live with him. Hello Mike, No, you cannot. You should be able to visit him on base if he sponsors you on base. Some bases may require that he to meet you at the gate for you to be able to enter the base. Best wishes! I am a widow of a 100% disabled veteran, can I get a military ID? I served 6 years in the Virginia Army National Guard and received an Honorable Discharge in 1974. Do I qualify for a Military or Veteran ID Card?